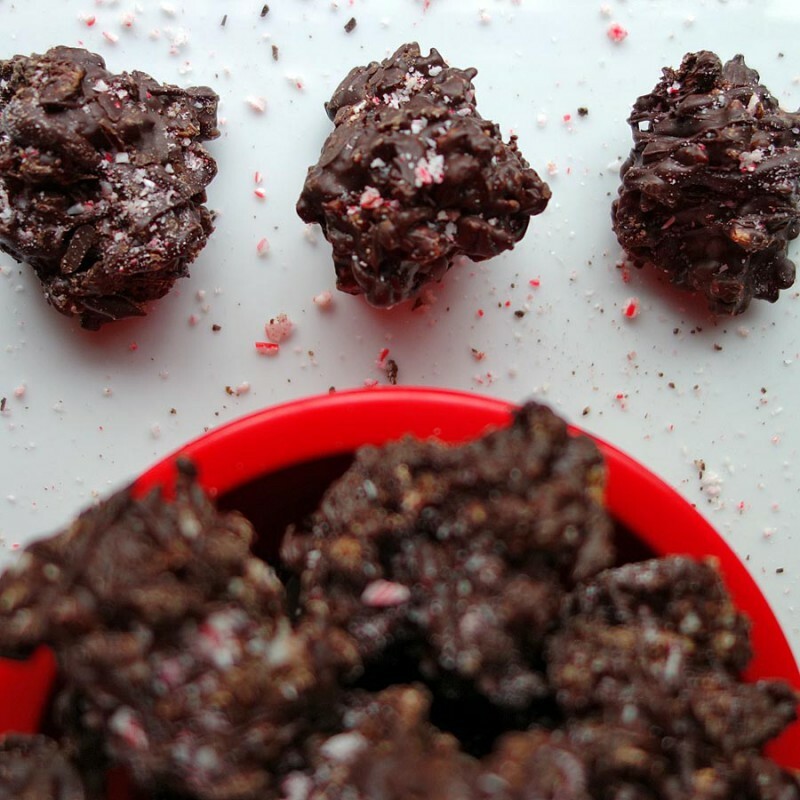 Homemade peppermint cream chunks, crushed candy canes and crisp rice in dark chocolate clusters that look just like coal. Have ready a sheet pan lined with waxed or parchment paper, two teaspoons and a rubber spatula. In a medium bowl, combine rice, peppermint squares and half the crushed candy canes. Pour 1/2 cup of chocolate in a small bowl and cover to retain heat. Quickly fold the rice mixture into the remaining chocolate until just incorporated. Don’t overmix or the chocolate will start to set. Spoon teaspoons of the chocolate mixture on the waxed paper. Drizzle with the “coal” with the remaining chocolate and sprinkle with the crushed candy canes.